Patrice A.J. Cote was born and raised in Montreal, Quebec. Having completed an undergraduate degree in Communications at Simon Fraser University in Vancouver, he obtained a law degree from Osgoode Hall Law School and further completed a Master’s degree in Environmental Studies at York University, in Toronto. Mr. Cote was called to the Bar of Ontario in 1999. An experienced litigator and tireless advocate, Mr. Cote is well known and appreciated for his tenacity at obtaining the best results for his clients. 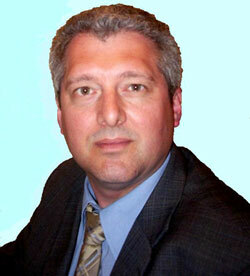 He practices in many areas including personal injury, professional negligence and family law. Mr. Cote practices in association with Stephen Dyment under the banner Dyment Cote Lawyers. The firm also provides legal services in business and corporate law, including commercial leasing, employment, debtor/creditor matters and real estate. Mr. Cote is bilingual in French and English and practices in both official languages. The firm welcomes and honors referrals.